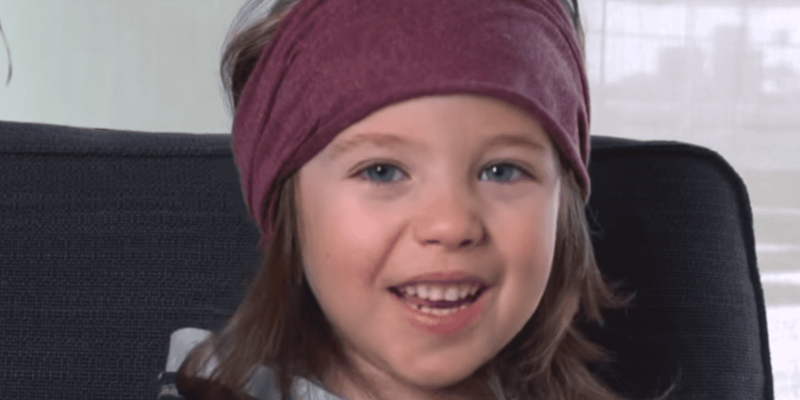 Six-year-old Bird Box actress Vivien Lyra Blair has promoted compassion for animals in her first ever interview. Blair played a key role alongside Sandra Bullock in the Netflix smash hit thriller, which was released last year. In an interview with PETA, Blair urged viewers to adopt cats and declared that she “want[s] to make the world a better place for animals”. During Bird Box she was mostly blindfolded for her own protection from a mysterious force. Blair then took off her iconic blindfold, and explained her favourite foods. “I like edamame and asparagus, green beans, and the Tofu Rice Bowl from Yuko Kitchen,” she said. But she admits that she’s “still working on liking spinach more”. In the movie’s first month on Netflix, Blair‘s captivating performance as “Girl” was seen by 80 million viewers, won her rave reviews, and earned praise from Oscar-winning writer/director Barry Jenkins. He tweeted that she “[s]teals every scene, every moment she’s on screen”. Off screen, Blair likes to spend time with her three rescued cats, including Lazlo, “an orange tabby, the meowiest of all of them”. PETA – whose motto reads, in part, that “animals are not ours to eat” – notes that turkeys, chickens, cows, and other animals raised and killed for food develop friendships; feel emotions such as joy, love, pain, and fear; and want to live just as much as we do. Blair joins a long list of celebrities – including Tom Hardy, Charlize Theron, Penélope Cruz, Taraji P Henson, Liev Schreiber, Krysten Ritter, Mayim Bialik, and Maggie Q – who’ve teamed up with PETA or its international affiliates to promote kindness to animals. What do you think of Vivien Lyra Blair’s interview? Tell us in the comments below!